The MPEG-7 ISO standard to describe multimedia objects is an important prerequisite to interoperability and openness of applications and content. We are relying on MPEG-7 as metadata standard for all of our content analysis modules and associated retrieval applications. The MPEG-7 library has been developed as part of our basic metadata infrastructure. It is a complete C++-implementation of the standard and based on an automatic, configurable XSD to C++ translator (implemented in-house). JOANNEUM RESEARCH is one of the largest non-university research institutions in Austria. Our research is geared to the demands of business. We develop and improve products and processes in the fields of geological sciences and the environment, biotechnology and environmental technology, electronics and information processing, materials and processing as well as economy and technology. Our range of services includes applied research and technological development; technology-oriented consulting and sophisticated technical services; consulting, support and project management in applications for national and international funding (e.g. EU framework programmes) with a special focus on small and medium-sized enterprises. The DIGITAL Institute for Information and Communication Technologies specializes in web and internet technologies, image, video and acoustic signal processing together with remote sensing, communication and navigation technologies. These technologies are implemented in hardware and software development and application-oriented solutions using scientifically sound methods. Several years ago we entered the field of digital content analysis and the related field of content-based search, where we developed in the last years spectacular applications at an international level. Our current research focus is on the generation of video summaries and spatio-temporal video object segmentation. We are currently also focusing on fusion of information extracted from visual and audio content. 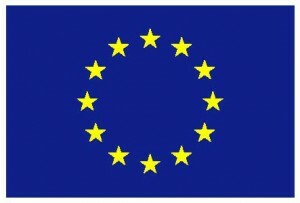 Ongoing work and improvements are co-funded by the European Union through the FP7 ICT programme.